Normally I am not a big fan of anthologies as I find myself unable to enjoy them when one story ends just as it starts to get interesting, but this one really stands out from the others I have read. Shifting Shadows is an urban fantasy anthology set in the world of preternatural shapeshifter Mercy Thompson. There was not a single story in this anthology that I did not enjoy in some way. When a series of books is written in the first person, its makes the short stories told from the perspective of someone else. 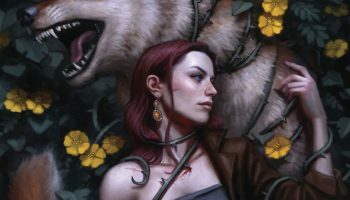 We get a really good look at some characters who are only briefly mentioned in the main books in the series, and some insights into the lives of werewolves, vampires, and ghosts. 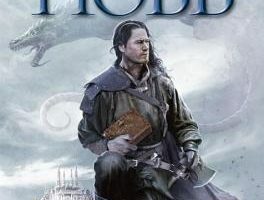 I wasn’t quite sure how to go about writing this, so I just decided I will go through and write a small little review for each story in the order they appear in the book. I did my best to keep any actual spoilers out of them while still giving my impression of each one. Silver tells the origins of Bran and Samuel becoming werewolves and an explanation of sorts as to where werewolves originally came from. We also get a glimpse into the early life of Ariana and the ill fated romance between her and Samuel. Though a time period is not given as to when this story is set, its obviously a very long time before Moon Called takes place, and gives a pretty good idea how long a werewolf can live. It was really interesting to see the origins of a number of characters who only get small amounts of screen time in the main series, as well as what’s probably the origins of the werewolves themselves. This story is interesting in that it tells a story in two alternating timelines, the year 1900 in Butte Montana, and present day Butte Montana. I found myself enjoying this quite a bit, despite the fact that it’s told from the viewpoint of a character only seen briefly in the Mercy Thompson book Frost Burned. We get a good look at what it means to be fledgling vampire and what abilities you get after you’re turned. 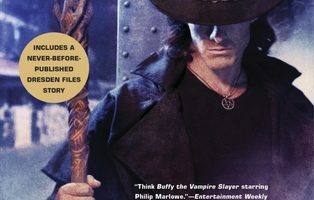 I found myself disappointed that it ended so fast, and hoping we see more of Thomas Hao, he seems like a unique vampire who’s owed his own story. This was a really sad and melancholy story, almost a little to much for my taste. In this one we get to see the regret and depression of a female vampire who has returned to her former home in an attempt and live on her own without a seethe. Wendy Moira is a good witch, something not often seen in a world where witches gain their power through the mutilation and suffering of others. Tom is a werewolf intent on freeing his mundane brother from a coven of black witches. Together they might be enough to do it and survive. What made this story the most interesting for me is it gives us a good look at the inner workings of witchcraft and gives you a good idea that you do not want to get on the bad side of anyone with witchblood in their veins! This is by far my favorite short story in the entire anthology, and I’m kicking myself for not reading it sooner. Alpha and Omega takes place during the events of Moon Called and fills in a lot of the plot holes from it that have been bothering me for a few years now. It tells the story of how Anna Latham and Charles Cornick met, while explaining what started the chain of events leading up to Moon Called. 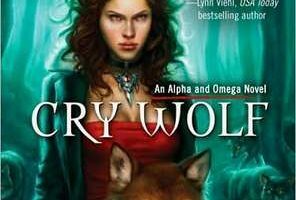 Anna is probably my favorite character from the anthology and it’s interesting to see a new type of werewolf I don’t remember being mentioned before, an omega. I will definitely be buying Patricia Briggs Alpha and Omega series in the next few day, I can only hope its as good as this short story was. This was probably my least favorite story of the anthology, mainly because it’s supposed to be a Christmas story about werewolves, and I hate Christmas stories. When I try and do my best to forget its a Christmas story it’s pretty enjoyable and tells the story of the army ranger turned werewolf, turned werewolf mercenary David Christiansen who appeared in Moon Called. The most enjoyable part of this story for me was how believable David’s conflict of what he is, and who its made him become. This story is a good example of why I really love this anthology, it’s always get a glimpse into the life of a character only briefly mentioned in the main series, or more detailed dynamics of being a werewolf. Roses in Winter tells the story of Kara Beckworth a thirteen year old girl briefly mentioned in Blood Bound as having been turned into a werewolf. She’s now become the Marrok’s newest problem to solve, as a young girl unable to control her wolf is a danger to both herself and all werewolves. This book gives some really interesting insight into the laws that the Marrok has laid down to protect all the werewolves, and why they are necessary to uphold. It also gives us a decent look into what happens to a werewolf who has been alive for centuries and is nearing the end of his expected life span. All in all this this is up there with Alpha and Omega on my list of favorites from this book. I don’t quite know what I think of this one, I enjoyed it while I was reading it, but afterwards I couldn’t quite figure out why. Not a whole lot really happens in it, and what little action there is just kind of bored me. The only thing I liked about it was learning that zombies exist in the world of Mercy Thompson. I struggled getting more than a few paragraphs into this story at first, it throws a lot of tech jargon at you in the beginning which kind of threw me out of the story. I found it quickly got better though, and we got a good look into what makes Ben the werewolf tick. I don’t know why it surprised me that Mercy Thompson didn’t make an appearance till the very end of the anthology, I should have expected that to be the way it would be. This story has about everything you can expect from a Mercy Thompson story. There are werewolves, shifters and ghosts, not to mention Mercy taking her usual mental and physical beating. While this was of course a great story, as any story featuring Mercy would have to be, I found my mind wandering a bit while reading at certain points. Mercy is much more suited to full length novels. I suggest anyone who is a fan of the Mercy Thompson or Alpha and Omega books buy this book, it fills in a lot of gaps in them both, and I know I’ll be adding it to my collection when it releases. 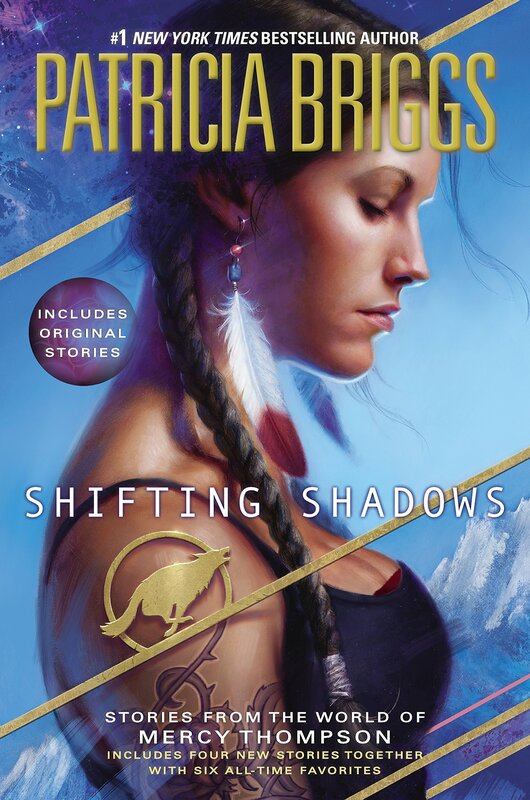 In fact, I hope anyone who reads this is encouraged to go out and read all the other books by Patricia Briggs set in the same world, she is quite an author and I know I’m more than looking forward to her next book. Check out RLovatt’s interview with Patricia Briggs on the ArchedDoorway here.